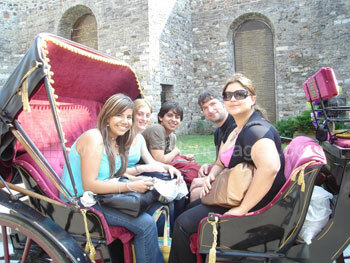 Experience a city soaked in history and culture, surrounded by incredible scenery! Study on an English course in Montreal and you’ll discover the cultural capital of Canada, alive with endless festivals, exciting art exhibitions and enticing nightlife! 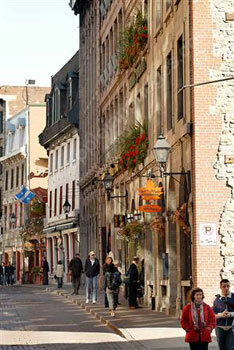 One of the oldest urban areas in North America, Old Montreal is awash with historic architecture. 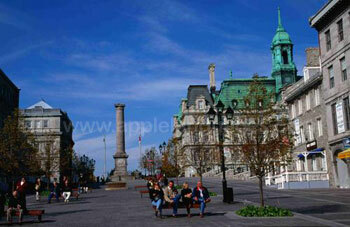 The sublime City Hall and the striking Notre-Dame Basilica are two particularly fine examples. For the best views of the city, head to Mount Royal Park at twilight. From here you can really appreciate the stunning combination of dazzling skyscrapers and graceful, centuries-old buildings, with the gentle contours of mountains on the horizon. During winter, when Montreal is often blanketed in snow, the view can be even more beautiful. If you want to explore the landscapes around the city, you can go hiking, cycling, kayaking or even skiing! 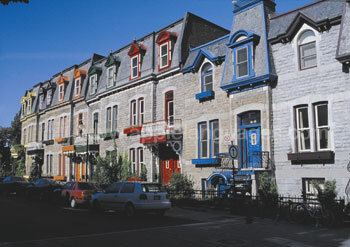 Whatever your interests, you’ll love Montreal! 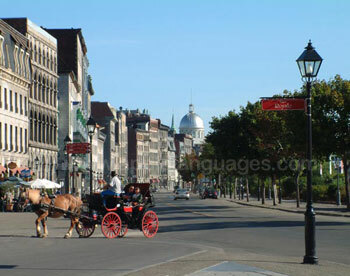 Our Montreal school is located in the city's main shopping district, with exquisite Old Montreal within easy reach. 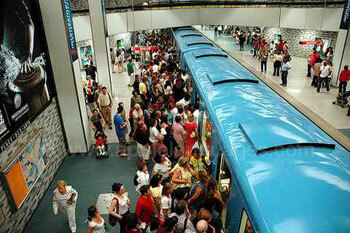 You'll find numerous restaurants and cafés nearby, where you can unwind and socialise after your English lessons. The modern school has light, spacious classrooms, a student lounge and a well-equipped computer room. 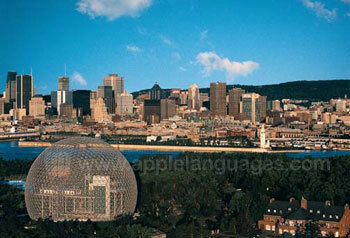 Learn English in Montreal at your own pace! Our school’s same-level group courses consist of 20, 25 and 30 lessons per week, so you can decide how intensive your program will be. If you want to combine group tuition with one-to-one English lessons in Montreal, choose a ‘Plus’ course. You can use your individual classes to consolidate what you’ve learnt during group lessons, or examine those aspects of the language that interest you most. Private English Lessons put our school’s experienced teachers completely at your disposal, and such personal attention means that you’ll make rapid progress! You can study on any of these courses for as little as one week, or for as long as a whole year. To save money on a long-term English course in Montreal, enrol on one of our school’s Academic Year programs, which run for 28, 32 or 36 weeks, at a discounted price. Unpaid Work Experience placements are also available, giving you the chance to practice your language skills with native English speakers everyday! Not only will your English quickly improve, but you’ll also get a valuable insight into the Canadian way of life. To prepare you for your placement, you’ll take an English course at our school for a minimum of four weeks. 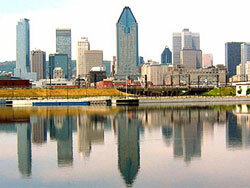 If you have any questions about any of our courses, or about Montreal itself, please feel free to contact us. Live with the locals whilst you learn English in Montreal! Our school takes great care when selecting host families, ensuring you a warm welcome in Montreal, as well as plenty of language practice. Host family accommodation includes two meals per day. Alternatively, you can live with your fellow students in one of our school’s residences. You’ll have a shared kitchen and bathroom, air conditioning, free wireless Internet access and a room-cleaning service. One residence, complete with a cafeteria, is located just a five-minute walk away from the school. The other residence is only ten minutes from the school by foot, with music and games rooms on-site, as well as a theatre! Both host families and residence accommodation are available with private bathrooms, for a supplementary fee. 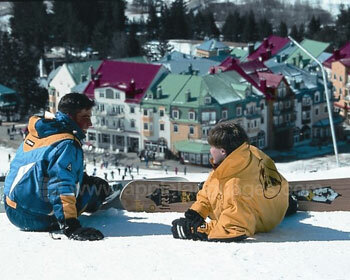 Experience more of Canada and its culture with our school’s exciting activity program! 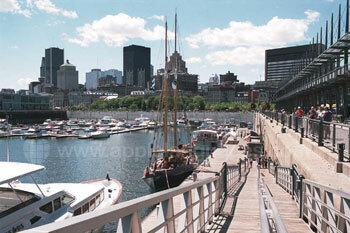 First of all, you’ll have a guided tour around Montreal, allowing you to find your way around the city. Then you can see the Montreal Canadiens ice hockey team in action, visit fascinating museums, go skiing, learn to Salsa, or enjoy a trip to a Québécois sugar shack, where you can taste the finest Canadian maple syrup! Some activities are free of charge, whilst others carry an extra cost. The activity program changes from month to month, so you can witness the Grand Prix in June, or discover the famous Montreal Jazz Festival in July. Excursions are organised for the weekends, taking in places such as Niagara Falls, Québec City, Toronto, Ottawa and the Laurentian Mountains. You might even be lucky enough to see Boston or New York! No matter when you take your English course in Montreal, you’re sure to have an unforgettable time! Our school offers one-way transfers from Montreal-Pierre Elliott Trudeau International Airport, which receives flights from across the world. Please be aware that these transfers carry an additional cost.